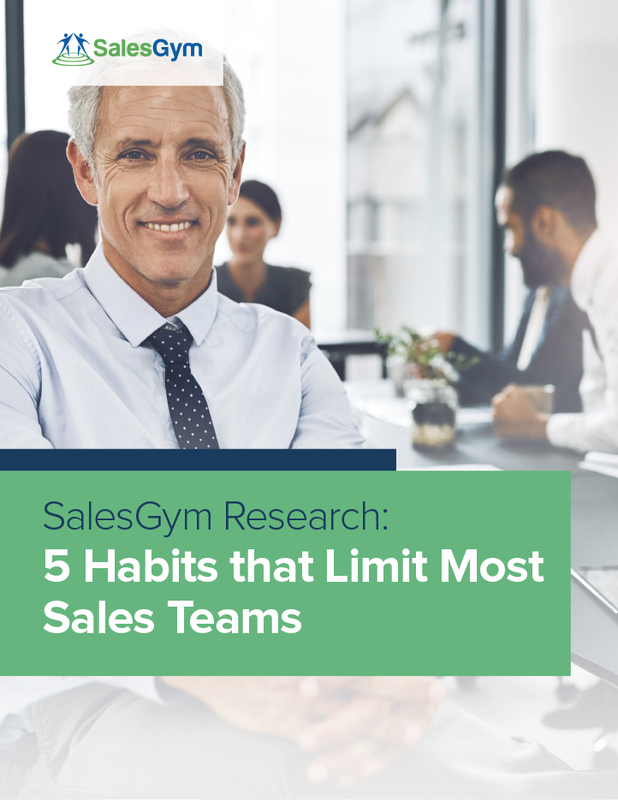 At SalesGym, we’ve interviewed a number of sales executives over the last several years looking for timeless insight and advice and one interview that really stood out was with Jared Litwin, Sr. Director, Global Enablement with Salesforce. He shared some great insights into sales teams, sales managers and coaches and how newer salespeople can up their odds of success. Every sales training program that’s been presented in the last 25 years emphasizes how important asking good questions is. Although different programs present different theories around the right flow or sequence of questions, they all assert that questions identify needs or pain points that create selling opportunities. The worst place for objections or concerns to come out is near the end of the sales call or process. In “The Challenger Sale” the authors agreed with Jared that it’s critical to bring those resistance factors up early in the process and, if possible, to address them by helping reshape the decision making criteria entirely. Salespeople that avoid those important hard questions are often left wondering why the sales process got stalled and why the decision maker starts avoiding their calls and puts off future meetings. In over 300 interviews with top sales executives like Jared, what we heard over and over is the #1 mistake salespeople make on sales calls is talking too much about their products. When we observe top performers, we’ve noticed they tend to talk less, listen more and when they do talk about their products, it’s in a way that is more concise and compelling at the same time. As Jared mentions, storytelling is a key to how the best communicators get their points across. To do this well, especially with senior executives, you’ve got to understand their business and the factors that matter to them. What matters to a COO at a hospital, for instance, is quite different from the decision maker down in the diagnostics lab looking for the latest whiz bang technology to speed the process of analysis. When you look closely at how elite sports teams coach their athletes, they focus hard on impacting the performance of the next game. Although they do analyze stats and go over game film, what they spend most of their time doing is practicing for the next game. Often, sales managers fall into the trap of just analyzing the past and not coaching in a way that impacts the future. "Be curious and use that curiosity to learn different business models and how your potential customers operate. That knowledge will take you so much farther than becoming a product master because products come and go. For every technology giant today. I can show you five more that were giants 30 years ago and no longer exist...technology comes and goes. Business models endure if you can understand the business models and what makes these companies tick, invariably you'll be able to find the leaks in the faucet and be able to plug those leaks in with your solution. But you can only do that if you're generally curious and you understand how all these companies actually work."